Facilities: Life guards with annexed small library, safety ropes, small restaurant with inbuilt toilets and showers. Transport: Arriva Bus Number: 44; 101; 102; 223; 224; 225; 21; 22; 24. GoldenBay is one of three rural, sandy beaches on the North West side of the Island. 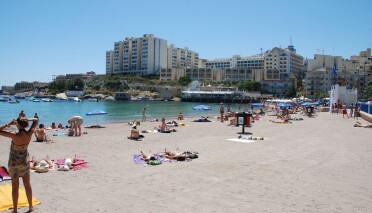 As its name indicates, the sand is gold colour and it is a favourite beach with many bathers. 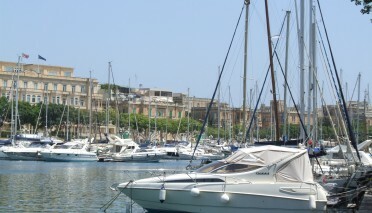 It hosts remnants of a sand dune with rich sand dune flora species that are rare for the MalteseIslands. 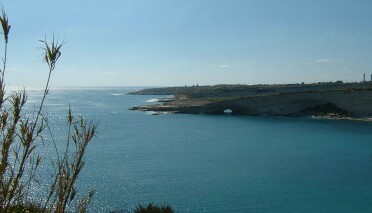 The bay forms part of Il-Majjistral Nature and HistoryPark and a Natura 2000 site. The beach is accessible for persons with special needs and a sand wheelchair is available during beach management, which takes place between the 15th of June and the 15th of September. 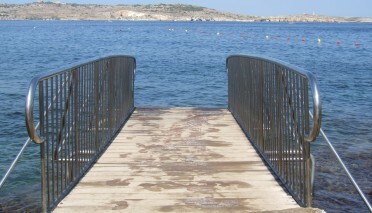 Beach management is operated by the Malta Tourism Authority. 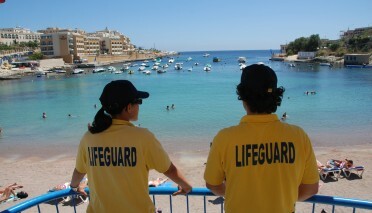 Lifeguards and other beach staff are present daily during beach management operations. Additional safety ropes are placed on site in summer to assist bathers that may encounter difficulty during strong currents. Lifeguard flags are raised every morning to indicate the sea conditions.